You can use the best landscape designer resume examples and write your professional resume. Increase your chances of being hired using a quality resume. To work in a firm where I will put my designing, planning and implementing skills to work to produce an environment-friendly atmosphere that is aesthetically pleasing and comfortable to work in. Knowledgeable on strength properties of different construction materials. When it comes to performing well in an interview, preparation is the key. Though the list below is not exhaustive, it offers just a way to show you what you can work on and how to present yourself during an interview. You should treat the interview process with the seriousness it deserves if you are keen on getting that job. Many a candidate have had good qualifications and a great experience but failed at the last minute during an interview. Anytime you are applying for a job, you should make sure that you prepare your CV to reflect what skills and qualifications you have gone through. The best way to go about this is to look at other landscape designer resume examples in our resume section so that you can prepare yours accordingly. By looking at other templates, you are likely to get an insight to either include or remove something from your resume. Finally, go through the job requirements as listed by your prospective employer so that you can know what he is looking for. This way, when you are preparing your CV, you will know what to say so that you appear like you have fulfilled all those requirements. Don’t forget to proofread your resume to weed out any spelling or grammatical errors. Some of the questions you will be asked in the interview will revolve around the company that you are seeking the job. Showing up at the interview without even the rudimentary knowledge of what the company does will only display your ignorance. You should, therefore, strive to visit the company’s website, read the mission and vision statements, understand their philosophy and know a little history about them. This way, you will be prepared for anything that might be thrown at you. Next, try and find out all you can about the person who will be interviewing you. 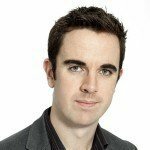 Finding out what the mode of the interview it will be a big plus for you since you can reframe your answers to reflect what the company is looking for. As a landscape designer, you have done everything you can to prepare for the interview. But have you researched on the questions that the panel might choose to throw at you? Knowing what kind of question to expect will help prepare you even if you don’t get the exact question. Use the questions below to find out the best way that you should answer interview questions. What motivates you as a landscape designer? What do you find others most criticizing you for? 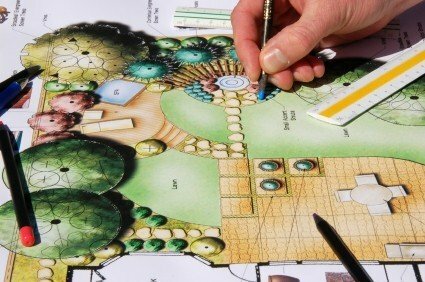 How do you handle the stresses of landscape designing? Where do you see yourself in the next coming five years? If I get the job, how soon do you expect me to start? Does your company give its designers a lot of leeway in terms of how creative or risqué they can get with their designs? On the day of the interview, you should make sure that you have dressed according to the part that you are applying for. For a landscape designer, you should make sure that you dress professionally so that you can show the interviewer that you mean business. Showing up with a strong perfume will only go to show that you don’t deserve the job. Need to see more resume samples and templates to better understand how to write a Landscape Designer resume? Here are more other resume examples for different job positions that you can use as inspiration.